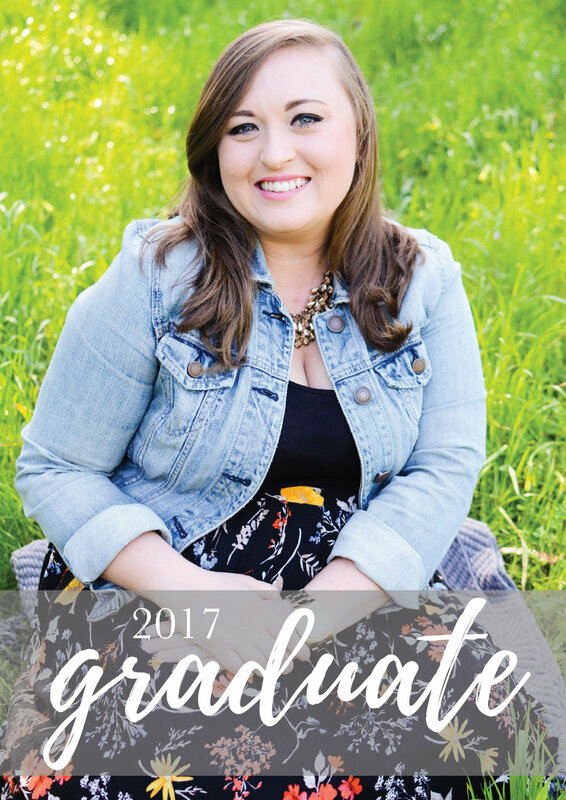 This is the double sided 5x7 card I made to announce my graduation, as well as the invitation I created for my graduation party. I wanted to have fun with this design and let my personal style shine through. I love incorporating hand-drawn elements in my work, so I let that be the driving force of these designs. I ended up drawing many flowers on paper and digitizing them for use in this project. Overall, this was a very fun, personal project for me to work on and gave me the opportunity to create something to show my family and friends the skills I have learned in school.